Our furniture and accessories are a synthesis of folk art, antiques, our own personal aesthetic, and contemporary living. 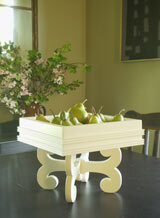 They are available in 12 of our favorite natural colors or you can customize your order with any Benjamin Moore color. Let this unusual centerpiece enhance your dining room table or kitchen counter. 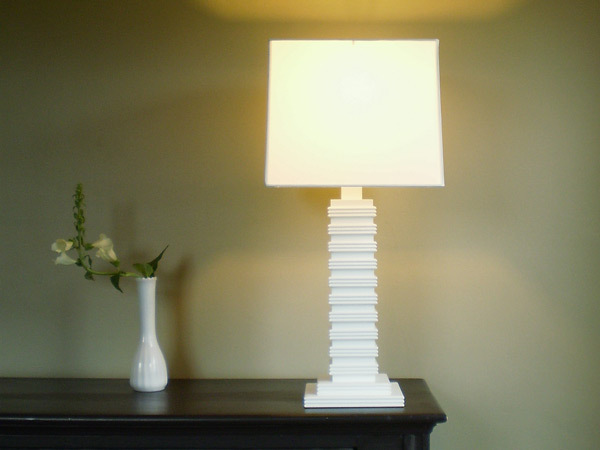 made with solid poplar and pictured in Cameo White. 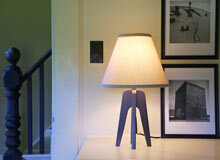 A mid-century inspired classic lamp - with brass hardware and 3-way switch. made with solid poplar and pictured in Appalachian Brown with cream shade. 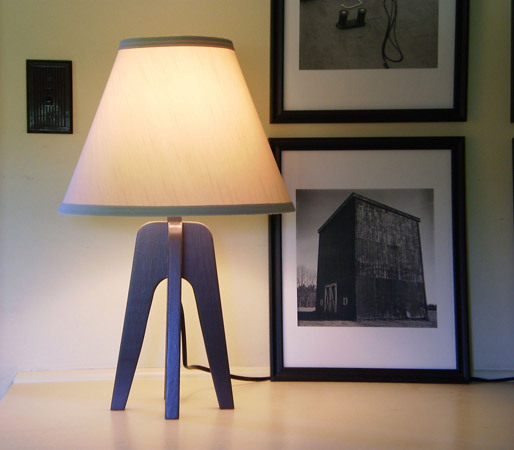 A stacked-style lamp with nickel hardware and a 3-way switch. 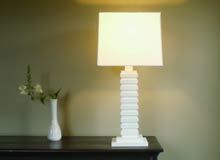 made with solid poplar and pictured in White with white shade.